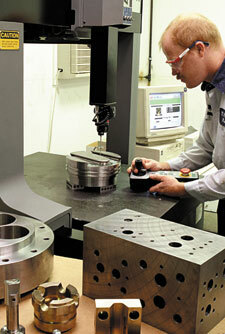 About Us - THT Presses, Inc.
THT will be the most respected resource transforming materials into efficient energy. THT Presses was founded in 1977. We started manufacturing vertical casting machines and now, 30+ years later, we have evolved into a state-of-the-art engineering, technology and development company. THT’s machinery and tooling design is an innovative trademark of our team of experienced electrical, mechanical, process and program engineers. makes THT your number one choice. Do you ever wonder why some companies manage to stay in business and even prosper year after year, in spite of economic downturns, fierce competition and other hardships that every company endures from time to time? I believe it is because these companies continually strive to improve their customer satisfaction, technology and processes, rather than “reacting” to market conditions or trying to “catch up” after a competitor has surpassed them with a new product or technological advancement. At THT we have always endeavored to be the leader in our field. We have done this by continually improving our processes, technologies, services, facilities, etc. We are also constantly exploring new opportunities to provide more value to our customers. As a result of our commitment to be the best, coupled with our talented engineering staff, we have recently developed exciting new technological breakthroughs for casting copper. This new technology will provide our customers with energy efficiencies they were never able to realize in the past due to the high costs and difficulties encountered in casting copper. For additional information about this new technology, please call us at 937-898-2012, or simply click here to read more. Thank you for visiting our web site. We hope you will find what you are looking for; however, if you are unable to do so, please feel free to call us to discuss your specific needs.